Blasting the high number of foreign players on Qatar’s national handball team, FIFA’s president has warned the Gulf state that its athletic selection process would be closely watched ahead of the 2022 World Cup. In a historic run, Qatar’s squad made it to the Men’s Handball World Championship finals for the first time last week before being defeated by France. But despite its stellar performance, the team was heavily criticized by many for being comprised largely of foreign-born players from Europe. In his latest editorial in FIFA Weekly, Blatter waded into the debate, saying the International Handball Federation (IHF) shouldn’t allow so many naturalized players to compete. “The fact that sport builds social bridges and brings cultures together cannot be stressed often enough. As host of the 2022 tournament, Qatar’s national team will automatically be allowed to compete, regardless of its international ranking (which is currently 92nd but climbing). However, FIFA’s rules for allowing foreign-born players on a national team are considerably stricter than the IHF’s. 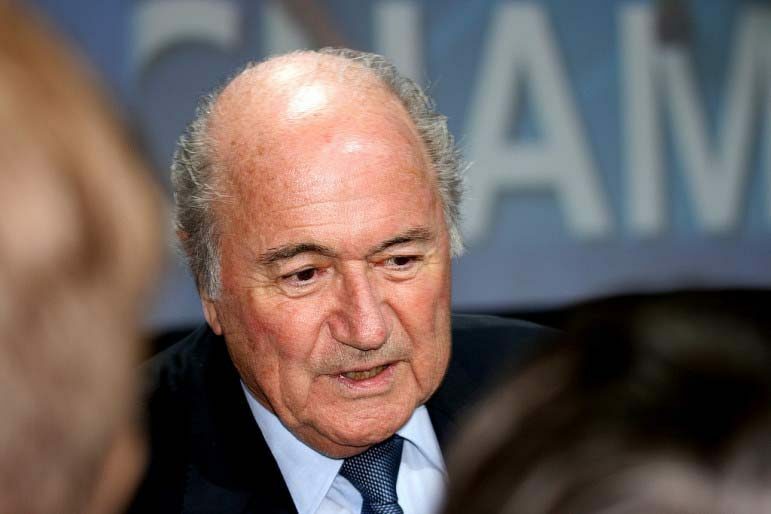 According to Blatter, a player, his parents or grandparents have to born in the country he represents. Or, he must have lived in the country for at least five years after turning 18 years old. Qatar is mindful of the rules, and has been working to cultivate homegrown talent in the four years since its been awarded FIFA hosting rights. Last April for example, the Qatar Football Association (QFA) announced that it would be reducing the number of foreign players in the coming seasons. The new focus would be on developing young local players, training more Qatari referees and coaches and reaching out to the community to bring in fans, QFA said at the time. But analysts say youth development is difficult because Qatari players are not necessarily attracted to the contracts offered to them, and their families may not be supportive of them pursuing careers in sports.